Is Glenn Beck Mentioned in the Dead Sea Scrolls? 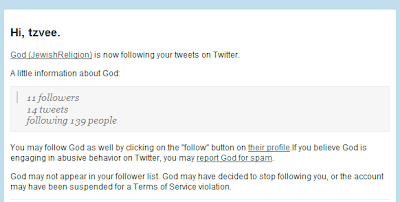 Yes, Glenn Beck is mentioned in the Dead Sea Scrolls. Beck assuredly is one of the Sons of Darkness mentioned in the War Scroll. It's also true that -- as is the case in so many other issues that Mr. Beck speaks about on TV -- he is factually wrong and utterly confused about the history and contents of the Dead Sea Scrolls. See Jim Davila's blog and Robert Cargill's blog for details. Is the Jewish Theological Seminary Jewish? We don't really like to say, "Is the Pope Catholic" when we want to make a point that something is plainly obvious. So we now can start to say instead, "Is the Jewish Theological Seminary Jewish?" Up until now that was not so plainly obvious. For decades the institution sought to promote "scholarship" which was not always directly supportive of Judaism. Peculiar forms of lexicography and arbitrary theories about the origins of texts abounded in the learning there and the laity in the Conservative movement wondered about the relevance of it all to Jews and Judaism. It was relevant of course in the manner of all scholarship that underpins authority in a religious society. But not much coming out of the Seminary bestowed any direct meaning on the life of the plain Jew. We thought it self evident that our teaching there this year should provide and provoke creative theology. That's what we worked for in our course on liturgy. Students rose to the occasion with brilliant work. And our efforts have led us in a new and direction, now published as a paper and soon to be completed as a book. We think the results are directly relevant to all Jews who pray. Now plans are in place that will change the overall direction of the Seminary. There is much work that needs to be done, a few people who can and wish to carry it out and a few who see and value that enterprise. Jonathan Sarna is one of the few. He describes in an essay in the Forward with great precision and with personal reflection the potential value of the seismic shift that is underway now at JTS. The Jewish Theological Seminary’s chancellor, Arnold Eisen, recently unveiled a bold new strategic plan aimed at transforming the school’s curriculum, redefining its purpose and setting forth its future direction. The plan called to mind a story that my late father used to tell about a modest change that he proposed to the JTS curriculum as a young professor there in the 1950s. Michael Freund and Shavei Yisrael help bring Chinese Jews from Kaifeng to Israel. Lately, Teaneck is getting to be a nastier place. The local election a few weeks back was beset by dirty tricks. A local Rabbi mouths off with sarcasm at just about every service, sometimes attacking Arabs who aren't there and sometimes just insulting his own membership. But just when does nastiness become a crime? When a judge says that it does. And we like Teaneck's Judge James Young. We think he is level headed. At first we thought he went too far in allowing this harassment accusation to go to trial. He should have sent the warring parties off to reach a settlement, we felt. But on further review we realize the context here. A man claims to have been subjected to several acts of aggression due to his expression of support for Palestinians by displaying bumper stickers on his car. Let's put an end to this right here and now, the judge must have thought. Yes, let's hope that lessons are learned in Teaneck and that nastiness turned into bullying stops. But then again, let's expect that it won't. The Mondoweiss blog has the not-so-dramatic story of Trau v. Siegel, the crux of which we paste and link below, "Teaneck harassment trial involves pro-Palestinian bumper stickers," by Philip Weiss. ...Siegel believes in the right of Palestinian refugees to return to their homes. He decided to get his views out there in a very assertive way by putting four bumper stickers on his 13-year-old gray Honda Civic. His wife was OK with it. Two of the stickers said, "Free Palestine, End the Occupation." Another said, "Stop US Aid to Israel," and another said, "We refuse to be enemies. Christians Jews and Muslims working for peace and justice." The bumper stickers got attention. A lot of people give Siegel the thumbs-up, or honk approvingly. But Teaneck/Fairlawn are a hotbed for Gush Emunim-land-of-Israel types, and many people get ticked off by the Honda and give him the finger. He's used to that. Some have vandalized his car. On the afternoon of April 20, Siegel noticed a Toyota following him a little too close as he was headed home down River Road in Teaneck. The car followed Siegel after he turned on to one side street and then another, traveling into his neighborhood. Siegel says the driver followed him right up to his house and then pulled up alongside his parked car and gave him the finger. Then he drove to the end of the block and turned around and drove slowly past Siegel's house again. Update: Trau apologized to Siegel and the matter was resolved outside of court as reported here. We are of two minds regarding the Dalai Lama's op-ed about compassion in the world's religions in the Times. On the one hand, we have been working in a chapter of our new book on the premise that the birkat hamazon - the grace after eating - is the quintessential Jewish meditation of compassion, with certain caveats about the universality of that prayer. On the other hand we were unimpressed by the superficiality of the Dalai Lama's description of the importance of shared compassion the faiths of the world. Here is the Judaism reference from the Dalai Lama's essay, following upon his appearance this week at Radio City. Not a very deep or profound insight, but well-meaning and he does mention the Holocaust. 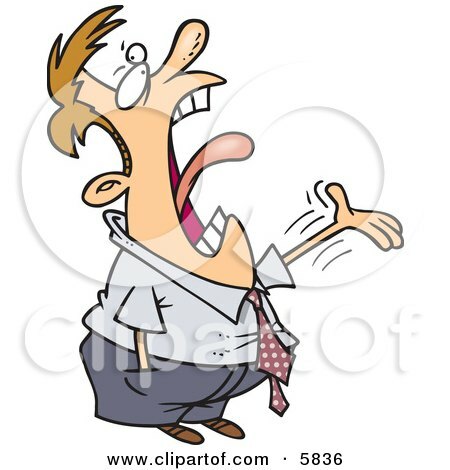 M J Rosenberg on HuffPost got the Boteach PR release. As he says, "What a hoot." Actually, the Rabbi does not want to hear from troubled celebrities to help them. He wants to be on the TV or the radio or in the newspaper to help himself. As Lindsay Lohan's saga continues to unfold with the judge's issuance of an arrest warrant, I want to put Rabbi Shmuley Boteach, who served as spiritual advisor to the late Michael Jackson and as Oprah's relationship, marriage and parenting expert, on your radar as a possible on-air commentator. Whoops. Never mind Lindsay, the rabbi will be busy speaking on TV. Does the iPad Torah App Make Your Device Sacred? Barry Schwartz at Rusty Brick Inc alerted us to his new and incredible iPad Torah App today. So now we have it on our iPad. It is indeed a scrolling replica of an actual Torah scroll - a great asset for Torah readers who wish to practice on the go! A neat concept and nicely executed with a little "yad" pointer icon that you can activate and use while you read from your iPad Torah. But on further analysis we started to ponder some Talmudic questions. Now that we have an actual Torah on our iPad, can we take it into, ahem, the lavatory? Does this app make our iPad into a holy book? After due consideration, we have made our initial ruling on this matter. As long as you do not open the app in a place that is not dignified for sacred books, there is no problem. From the perspective of Jewish law, a closed app is nothing more than an cartoon icon. Yes, you heard it here first. It's a matter of perspective. For most readers the hilarious Paul Rudnick parody in the New Yorker ("Hi From Heidi") of Heidi Montag (just who is she anyway?) was about her ten-plastic-surgeries-at-a-time mentality. For us, due to our unrelenting interest in prayer, the whole joke was about how she prayed, not about how she spoke about her obsessive body sculpting. As You probably know, because I guess You sort of know everything, I’m thinking about having a mini brow lift; lipo on my neck, waist, hips, and thighs; a chin reduction; an ear job; fat injections in my cheeks, nasolabial folds, and lips; a revision of my previous rhinoplasty; a redo of my earlier breast implants; Botox injections in my forehead and frown area; and a buttocks augmentation, if that is Thy will. 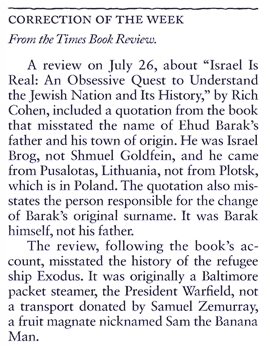 And what about that Jewish correction of the week in the same New Yorker issue? It is just a riot. Last month the State of Israel banned the iPad for several weeks. Now reports are circulating that the venerable New York Yankees have banned the device from the stadium. Oy, we guess that means the pinstripes have hired Israelis to monitor the security at the Bronx field. Check back in three weeks. A report from Yahoo Sports suggests that the Yankees have decided in all their infinite, historic wisdom that the iPad falls under its "No laptops" policy. Spacekatgal, a poster on the IGN boards and who first caught Yahoo Sports' attention, said: "The security people told me it was not allowed and I was turned away at the gates. Why on earth would they have this policy? Terrorism concerns? I couldn't get an answer. I snuck it in under my jacket...I bring it to Fenway all the time and they don't care." SkyGrid filters the information to find the things we think you’ll find exciting to discover and share with others. Common examples are world events, sports updates, entertainment news, and other things that people like to share. SkyGrid has over 25 different filters to make the streams you view high quality. Some of the things people using SkyGrid are most excited about are our patented SkyView™ algorithm that filters for reputation and velocity. These words probably sound a bit technical, and let us quickly describe each one. Reputation just means we always want to show things only from people you trust (think about the difference on Facebook from getting a friend request with a picture of someone you may know vs. the blank silhouette image). Velocity shows you the information that’s changing the fastest. It’s always exciting to know what others are also finding exciting. Honestly, we go to the SkyGrid "Latest on iPad" category at least once a day to see what people are saying and doing about and with the revolutionary new device. If it's Talmud, we link to it, even if we don't really get the humor. Today, Doonesbury's comic strip includes a reference to the imaginary "Berzerki Talmudi" Jewish rebels. Peter Beinart, Associate Professor of Journalism and Political Science at the City University of New York, wrote a provocative essay for the New York Review of Books, proclaiming, "The Failure of the American Jewish Establishment." There has been a lot of discussion in blogs and newspapers about Beinart's misplaced complaints. And that is what they are. We just don't know what Beinart is talking about. His categorization of US Jews is crude and broad and his terms of analysis are soft and vapid. This is an impressionistic essay sprinkled with random demographics and sports-section descriptions of just how intensely are US Jews fans of Israel. And then he goes on to place the blame for the dilution of an undefined ideal, something that may or may not be the case, on "American Jewish Establishment." OK, listen up because this is important. 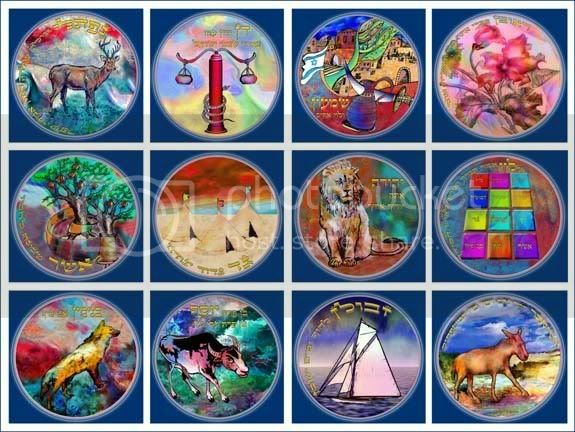 You can and should teach your children to love and support Israel by yourself, in your home, in your family, with your immediate friends, in your synagogue, in your schools by passing on to them intellectual, spiritual, social, political and even mystical content. You give substance about the value of supporting Israel to your children in every way you can. That is how it works. We don't know what the "American Jewish Establishment" is, and we don't care for this kind of carping and we sure do not fathom its claims about specifically what should be the case, what in fact is not the case, and who is to blame. And yes, this article will be waved about by rich people who wish to justify why they will cut their donations to "establishment" Jewish agencies. Yes, New Yorker staff writer Adam Gopnik is a Jew. "The thing that puzzles me ... is how they ever figured out I was Jewish." She executed what I believe our fathers would have called a spit take. "That is the most ridiculous question I've ever heard. There's your name, for one thing, and then the way you use Jewish words in writing." "What Jewish words have I ever used in writing?" She thought for a moment. "Well, 'shvits.' And 'inchoate.'" "'Inchoate' is not a Jewish word." "It is the way you use it. You've got 'Jew' written all over you. It's obvious." "It's obvious," my six-year-old son, Luke, echoed, looking up from his plate. "It's obvious." I was startled, though not entirely...."
Now, in an essay (A Critic at Large: "What Did Jesus Do? Reading and unreading the Gospels") that treats an assortment of new and recent books about Jesus and early Christianity (e.g., Diarmaid MacCulloch, “Christianity: The First Three Thousand Years” and Bart Ehrman, “Jesus Interrupted"), Gopnick rambles on and on in an entertaining and literary way about Jesus. Gopnik's own style is hard to describe, elusive, analytical and highly composite. Hmm, that sounds almost Talmudic. It's in the genes. This headline will be given an award by the right wingers as the most distorted and misleading anti-teacher attack. Half of the teachers in New Jersey who earned more than $100,000 work in Bergen and Passaic counties. Sure sounds like half the teachers make more than $100,000. Whoops. You mean that is not true? No it is not even remotely close to true. The Bergen Record is a real piece of work -- an anti-labor anti-teacher pro-business Republican rag. We call it a predictable disgrace of a newspaper. A few weeks ago we were privileged to be asked to present an academic paper on Jewish prayer at a conference Bard College in upstate New York. Here are the links to the audio and video (to order a DVD) of that paper presentation, "SIX PEOPLE YOU MEET IN THE SYNAGOGUE: VISIONS OF SOCIAL ORDER IN EARLY RABBINIC PRAYER". Are Synagogues Permitted to Hire Rabbis? No. By the halakhic reasoning of Orthodox Rabbi Hershel Schachter, synagogues are not permitted to hire rabbis. The idea of hiring a professional Jewish minister was copied from Protestant and Catholic Churches. It is not a Jewish institution known in the bible or in the Talmud. It may actually be better to suffer martyrdom, than for a synagogue to hire a rabbi (yehareg v’al ya’avor), extending the logic of what Rabbi Schachter, a faculty member at Yeshiva University, said last month, to wit, martyrdom is preferable to ordaining a woman as a rabbi because the Conservative movement ordains them. Should the US Assassinate Religious Terrorists? 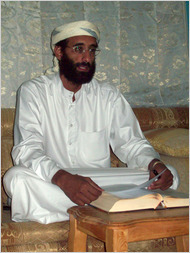 Today's Times article raises a number of issues about an American born Muslim cleric Anwar al-Awlaki who resides in Yemen and is plotting terrorist acts against the US. The CIA has targeted this person for assassination. The main question the Times probes is under our laws, what are this person's rights? We think the Times misses a key issue in discussing this case, namely the ramifications of the fact that the subject is a religious leader. We believe this makes the man more dangerous as a terrorist threat because of the credibility such a person has among his followers and hence because of the intensity of religious fervor he can command of the believers whom he influences. A political or ideological terrorist may also wield great authority over his troops and arouse in them a high level of destructive energy against the enemy. But we believe that military advisers and terrorism analysts accord a higher threat level to a religious leader -- and rightly so. You could make the case that religion is the nuclear energy of society, and accordingly a religious terrorist ought to be treated as a nuclear threat. Here are snips from the news account. PS: We do not believe in or endorse assassinations of any kind. That approach is a quick and dirty way to go after your perceived enemies. Admittedly it does take more resources and time to take the moral high road, i.e., to capture, try and convict your foes. But in the long run such a course of action will benefit us all. What can we say to Bar other than, "Been there, done that"? Only we were bringing in a slightly bigger Kaypro in 1982 on a sabbatical. For the technological advancement of the state, it's a dumb self-defeating tax, kept alive by politically connected importers who want to squeeze out more profits. JERUSALEM -- A famous Israeli export is in trouble for her import. Supermodel Bar Refaeli was caught at Tel Aviv's international airport this week trying to bring in her newly purchased iPad without declaring it at customs. Items brought into Israel worth more than around $200 are subject to duties. Refaeli told Israel's Channel 10 TV that she had an iPad in a suitcase that was lost in transit. 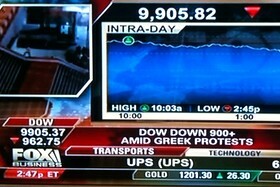 She said she didn't declare the iPad upon entrance to Israel for a brief commercial appearance. She is now required to pay 650 shekels ($170) in taxes and fines to get it back. Israel lifted its ban on the popular tablet computer two weeks ago. The restrictions were initially imposed over concerns the gadget's wireless signal could disrupt other devices. Are the Mighty Morphin Power Rangers Jewish? Not the right question. Those Mighty Morphin Power Rangers are characters in children's TV shows and movies. However, it is fair to ask if Haim Saban, "the man who brought the Mighty Morphin Power Rangers from Japan to America" is Jewish? And the answer is yes he is, and he is one of the wealthiest Jews in the world. Two observations. Contrast the sollective plural of "We are the world" (dating back to 1985) with the singular of "I am a Jew" and draw conclusion number one. Observe that there are men soloists. Women appear only in a chorus. Draw conclusion number two. We feel it's a moving song - but not great because it is missing key elements. 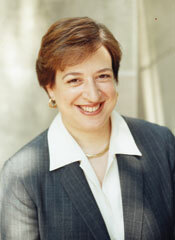 Yes, Solicitor General of the United States Elena Kagan is a Jew. She is also President Obama's nominee to be a justice on the Supreme Court. Kagan was born to a Jewish family in New York City where she graduated from Hunter College High School (1977), the same school that our mom went to a generation earlier. Kagan has had a stellar career serving as U Chicago professor of law, Harvard Law School Dean, a White House Counsel for Bill Clinton, and is highly ranked as a potential Supreme Court justice. We said we wouldn't get involved, but now we changed our minds. Too much petty nasty stuff has been going around before the local Town Council election here. Especially we want to castigate Susan Rosenbluth and her uber-weird outré Jewish Voice for her disgraceful comments about one "problematic" candidate in the election. So we endorse one utterly fine candidate for you to vote for, in particular based on the recommendation of Dr. Miryam Z. Wahrman, our town's most venerated and celebrated academic personality and a respected community leader and long time resident, as published in The Suburbanite. I am writing to endorse Joseph Steinberg in his run for Teaneck Council. Steinberg grew up in Teaneck and he and his wife have chosen to live and raise their family here. But even more importantly, he has made Teaneck and its welfare a top priority. He has already devoted many hours and much thought to improving the quality of life for all residents. For instance, as Chairman of Teaneck's Financial Advisory Board he has worked hard to identify areas that could be improved, leading to sounder and more sensible fiscal practices. I have been dismayed by the divisiveness and rancor that has been occurring within our political framework. He has pledged to work towards a government that values unity and cooperation as it tackles the daunting challenges. The positive change that Joseph represents - financial responsibility, unity, excellence in education, and transparency in government - would benefit all residents. I have served with Steinberg for two years on the New Jersey board of the American Committee for the Weizmann Institute of Science, a group that assists with fundraising for that well-known science institute. The board includes members who are highly accomplished individuals. Steinberg is the youngest member of the board - yet he has earned the admiration and respect of the other members. His counsel and ideas have been useful and valued in that charitable enterprise. He is an accomplished and successful businessman. His experience in enhancing efficiency has already been widely recognized - helping earn him recognition as one of NJ's top businesspeople under the age of 40. I am so pleased that he is running for council as he will be able to use his insight and experience in the business world to address the deep financial crisis that our town and others like it are facing. On May 11 residents will have the opportunity to vote for four people to join the Council. If we want a person of insight and business savvy who brings fresh ideas to get Teaneck's finances under control, help restore the unity that our diverse town so desperately needs, and who truly loves Teaneck, vote for Joseph Steinberg. There's somebody studying just about everything these days, including, it turns out, the relationship between our religious affiliation and our tipping habits at restaurants. The study was done by HCD Research, based in New Jersey. Their findings: The best tippers are Jews, followed by people with no religious affiliation. Penny-pinching Christians bring up the rear. For good service, Jews tip an average of 20.8 percent, people with no religion tip 20.1 percent, and Christians tip 18.3 percent. For bad service, Jews tip 11.4 percent; no affiliation, 9.9, and Christians, 9.0. When restaurant service is good, Democrats reported that they leave an average tip of 19.8% of the total bill while Republicans reported leaving 18.0% and Independents reported leaving 17.9% of the check. When restaurant service is bad, Democrats reported leaving an average tip of 10.8% of the total bill while Republicans left 8.7% and Independents left 8.4% of the check. Note well. This study appears to account for what the groups report - which may or many not be what they do. NEW YORK (Dow Jones)--Money manager J. Ezra Merkin must defend a fraud claim by Boston Properties Inc. (BXP) Chairman and New York Daily News owner Mortimer Zuckerman related to more than $25 million of Zuckerman's charitable trust funds allegedly lost to convicted Ponzi schemer Bernard Madoff. So much about Jews in the Times Book Review this week. So much about what other people think about Jews though, mostly negative and stereotypical, ranging from the historical and philosophical to the fictional. And in all of this writing that surrounds Jews, so little about us as actual people, what makes us who we are beyond the accidents of tribal birth, what comprises our character, nature and talents. One wonders why so many people pay so little attention to the actual Jews and expend so much venom and anger over their ideas of the Jews. And in all of this swirling animosity there is so little about real Jews as people even less about Judaism, the religion of our people, or about Jewish thought and culture in any secular respects. All told, to be certain, this week in the TBR we have an agglomeration of reviews of books about the dysfunctional imaginations of people who hate their ideas of other people -- who they call "Jews." Nothing at all substantive about our actual ancestors or relatives or their thoughts contained here below in these several reviews or in the books that they consider. Anthony Julius’s fiercely relevant book on British anti-Semitism is particularly strong on Shylock, Fagin and the whole cavalcade of Jew-hatred in English literature. Martin Heidegger was undeniably a Nazi. But was his affiliation an “escapade,” as Hannah Arendt claimed, or is his philosophy itself fundamentally corrupt? Two new books reconsider the question. Book Review Podcast Featuring Adam Kirsch on the philosopher Martin Heidegger and the Nazis; and Francine Prose on the life and stories of Irène Némirovsky. A biography of Friedrich Nietzsche emphasizes the personal and historical circumstances that acted as backdrop to his ideas. 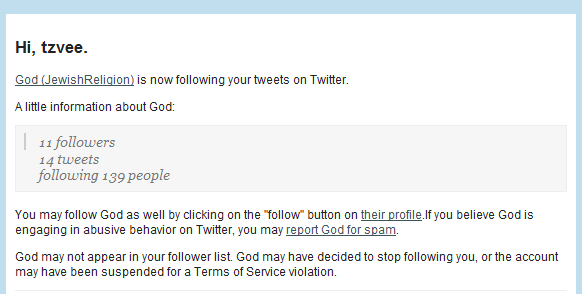 Update: Jeffrey Goldberg, a national correspondent for The Atlantic thinks we are suggesting that God is a socialist. Talmudically speaking, perhaps, or perhaps not. A warning from Minnesota's Council of Nonprofits via the Star Tribune. Thousands of nonprofits with revenues under $25,000 are at risk for losing their tax exempt because of a new law going into affect this month. These small organizations are now required to file an annual IRS Form 990-N. Failure to do so by a deadline of May 15 will result in revocation of the organizations tax exempt status. A different National Day for Praying comes up next week for Jews. Yom Yerushalayim commemorates the reunification of the City of Jerusalem, including the entire Old City, during the 'Six Day War' in the year 5727 (1967). And we add - "Hoping and praying should never be intermixed with politics." Holy schizophrenic university! Is Yeshiva U pro-Gay or anti-Gay? While there are quite a few law schools affiliated with religious universities — see, e.g., Georgetown (Jesuit), Seton Hall (Catholic), and Pepperdine (Christian) — Cardozo Law School seems to be the school that most often encounters friction with its parent institution, Torah-embracing Yeshiva University. Though affiliated with the Orthodox Jewish university, Cardozo is adamantly a secular institution. Yet, there are contradicting school policies — last year, a reality-game-show-winning 3L protested an administrative policy that unkosher food not be purchased for official school events by using his own funds to bring in “mouthwatering” nonkosher pizza. Is the Shroud of Turin a Hoax? Yes, in our opinion, the Shroud of Turin is a hoax. 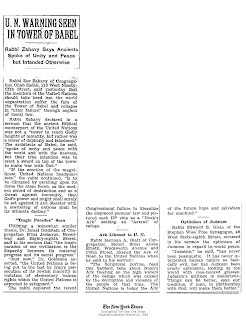 The Times now reports on the display of the Shroud of Turin, "Shroud skeptics call on a shopping list of evidence, including traces of paint pigments and carbon-14 dating tests carried out in 1988 that led three independent laboratories to date the cloth between 1260 and 1390, to cast doubt on its sacred origins." 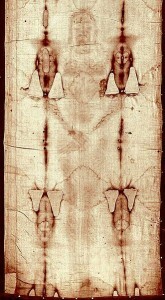 New evidence from Israel leads us to ask if the famous Shroud of Turin, alleged to be from the time of Jesus, is a hoax? The report in the Archaeology Magazine blog concludes, "No one will be able to draw any definitive conclusions about the authenticity of the Shroud of Turin based on this new study, "Molecular Exploration of the First-Century Tomb of the Shroud in Akeldama, Jerusalem". The comparative sample size is miniscule, and archaeologists need to see much more in the way of Jewish burial shrouds from the period in order to establish what the customs really were. However, this evidence is the best we have at the moment, and it certainly casts a lot of new doubt on the Shroud of Turin." What is the new evidence? In December, Shimon Gibson, an archaeologist and senior research fellow at the W.F. Albright Institute of Archaeological Research in Jersualem, announced tantalizing results from a new study that he and Boaz Zissu, an archaeologist at Bar Ilan University, just completed on a 1st century B.C. shrouded burial they excavated in a tomb in Jerusalem. Gibson and several colleagues published the first part of the study in a paper in PLoS One on December 16th. Well here we go again at the UN in NYC. We are concerned about the morality of what is going on over there. VOA reports, "Iranian President Mahmoud Ahmadinejad is on his way to New York City to take part in a conference on the Nuclear Non-Proliferation Treaty. Mr. Ahmadinejad is due to address delegates Monday on the first day of the month-long conference at U.N. headquarters. He is expected to defend Iran's right to enrich uranium, and to propose changes to the treaty." Our dad was concerned about the activities of the UN way back in 1949. "United Nations should take heed lest the world organization suffer the fate of the Tower of Babel and collapse in 'utter failure' through neglect of moral law." We found 3 book reviews worth noting for one reason or another in the Times and we actually read quickly through one other new book that we have to return Monday to the otherwise wonderful Teaneck library because another patron has it on hold. And our reading time was minimal today because our home was filled most of the afternoon with at least eight children ages six and under, five who were our grandchildren with whom we'd rather spend time playing than to do anything else in the universe. In the time left for reading, we selectively pored over Judith Shulevitz', The Sabbath World, and have mixed reactions to it, but mainly because we don't know what to make of what she calls her "spiritual autobiography." This is a work of diligent and extensive research and thinking about so many aspects of the phenomenon we call the Sabbath. And it is also an account of many chunks of the life of the author mixed in with her discussions of the practice and conceptualization of the Sabbath throughout history and across cultures. For us, that whole stratum of the book could have been dispensed with altogether. We aren't that much interested in Shulevitz after what we learned from her slightly banal yet pompous interspersed accounts of selected chapters of her rather offbeat Jewish upbringing, education and life experiences. The book, without that information, would stand quite strong as a rapid overview of the Sabbath idea broadly construed. Judt's book thankfully does not seem to attack Israel; Miller' book looks promising; Martel's metaphor gets a kinder gentler review here than we have seen elsewhere, where it has been slammed pretty hard. ‘Heaven’ By LISA MILLER. Reviewed by MARK OPPENHEIMER. A journalist’s tour of the afterlife, across religions and through the ages.